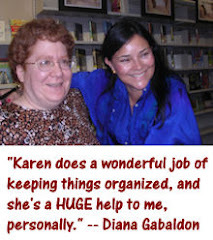 Some of you may have heard about a two-part interview with Diana Gabaldon that was recently published in Scottish Memories magazine. Due to changes on the magazine's web site, it is no longer possible for non-subscribers to read the full text of the articles online. 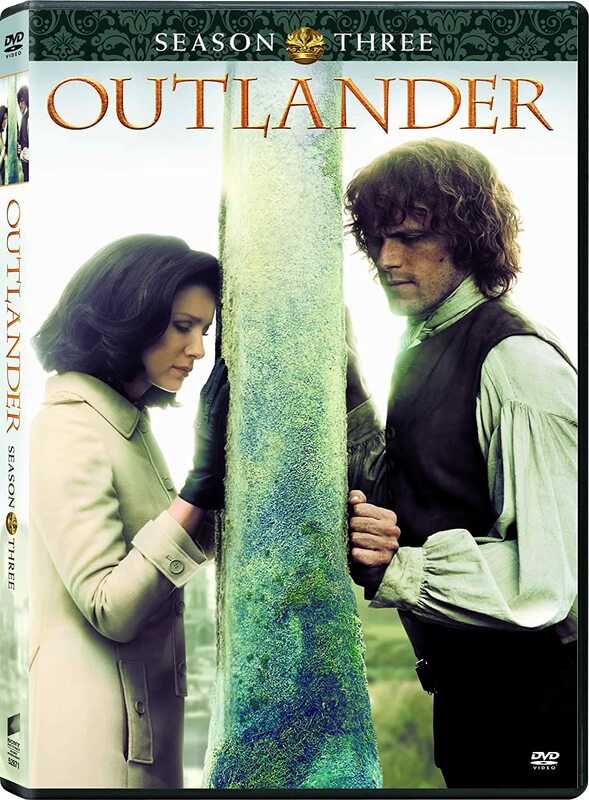 However, the author, Jean Brittain, contacted me via email when she learned of my interest, offering to provide a text-only version of the articles for posting on OUTLANDER fan-sites, including this one. The first part of the interview, titled "The Outlander Lady", appeared in the May 2009 issue of Scottish Memories magazine. Many thanks to Jean Brittain and Diana Gabaldon for giving me permission to reprint the text of the article here! UPDATE 6/26/2009 6:21 am: The second part of the interview, "Looking for Lallybroch", is now available here. Please note, this is the text of the article as it was submitted to the magazine, prior to editing. The actual wording in the published version of the article (as printed in the magazine) may be a little different. Originally published in Scottish Memories magazine, May 2009 issue. 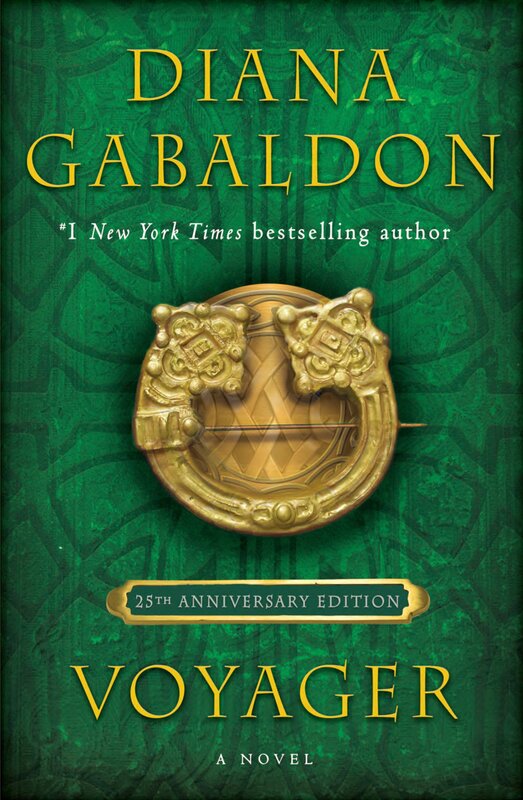 The 'Outlander' series of novels has over 17 million books in print and is available in 24 countries. Her books average a thousand pages and each takes around two years to complete. "... I digress. (That's why I write such long books; I like digressions.)" – as the lady says herself, adding the interesting bracketed extra that has become a trademark of her written chat. "Beyond a sense of ethics, though, there's a very pragmatic reason for being as accurate as possible; maintaining a high degree of accuracy in the recognizable details of the story induces a high degree of belief in the reader. Which means that you lead them along by the hand, lull them into a willing suspension of disbelief – and when you jump off a cliff, they'll happily go right along with you. I can make people believe in the plausibility of time-travel and the inherent 'truth' of this particular story, in good part because the historical background and the smaller details of daily life are meticulously rendered." "It has very tough, very stubborn people with a vibrant social and oral tradition, would be my guess! Which is to say that I'm sure all cultures are unique in their own ways. However, one unique aspect of Scottish history is the massive emigrations of its people that took place in the 18th and 19th centuries. Despite the hardships, a huge number of those emigrants survived, and thus also insured the survival and global spread of their traditions, their stories, their culture, and their history – to all of which they clung tenaciously – in a way that few other cultures could match." "Well, the kilts have a lot to do with it, of course..." Diana said, "No, really, it's the high-stakes conflict, I think (most of the Really Interesting heroes and villains of Scottish history were not in fact kilt-wearers, being Lowlanders for the most part). Conflict is the heart of any story, and you'd be hard-pressed to find a place with more historical conflict per square inch (both on the collective and the individual level) than Scotland. Nowadays, everyone thinks of kilts and Highlanders as 'Scotland' – but of course this is not the case. The Lowlands and Highlands were very distinct cultural entities, and – 'Braveheart' and Mel Gibson notwithstanding – William Wallace did not wear a kilt, let alone woad. Ditto Robert the Bruce. "Whether Highlands or Lowlands, though, Scots have always exhibited a flair both for individuality and color – they're story-telling cultures, both in terms of the Highlands' rich oral tradition, and the Lowlands' remarkable literary heritage of the 19th and 20th centuries. In this regard, I must tell a story about a trip to Edinburgh, soon after my third book had been published. I went into a Menzies' bookshop, and was delighted to find that my books were prominently displayed in the "Scottish Fiction" section. Scots being justifiably proud of their literary heritage, Scottish bookshops have 'Fiction'—and then they have 'Scottish Fiction.' Anyway, (having introduced myself) I said to the manager that I was very gratified at this propinquity to Sir Walter Scott, Lady Antonia Fraser, and Robert Louis Stevenson. To which he replied, "Well, GuhBALDun is such an odd name, we thought it might quite well be Scottish!" "It's actually a Spanish name—and my own, not my husband's. The point, though, is that if you did anything at all notable in Scotland, chances were that someone would immortalize you in song or story. "Beyond that… I think it may have something to do with two prominent aspects of Scottish culture (particularly Highland culture) through the ages, these being Kinship and Doom. The clan system itself is particularly compelling, with its tradition of loyalty and self-sacrifice (and its interesting parallels to the Native American tribal cultures; there's a reason why Scottish immigrants often lived with and intermarried with Indians)—people are always intrigued by the notion of people living for something greater than themselves. At the same time—vide 'Conflict,' above—owing to the aforementioned stubbornness inherent in the national character, Scots have historically been unable to subordinate their own interests in order to work together. Consequently, the history of Scotland is rife with treachery, betrayal, murder, and a lot of other unpleasant things that make for excellent story-telling." "Well, I'd know what Loch Ness smelled like!" was Diana's intriguing answer. "With the advent of modern travel, Scotland is fortunately very accessible as well as very beautiful. Consequently, there's a huge quantity of visual as well as textual material easily available. So finding out what Scotland looks like – in great detail – isn't really difficult. By the same token, owing to the rugged terrain and relatively sparse population, Scotland's appearance really hasn't altered all that much over the centuries, with a few notable exceptions such as the hydroelectric dams and lochs done in the late 19th and early 20th centuries, and the reforestation projects. It's not that hard, in other words, to find out what Scotland probably looked like in the 18th century. Still, most 18th century accounts, such as Dr. Johnson's famous journal of his visit to the Highlands, don't go into much detail regarding the olfactory components, with the exception of noting that most crofts are smoky; still less, the modern tourism material. And there are always going to be things that you find out on the ground (as it were) that you wouldn't think to look for in the research. "That being so, when my agent sold 'Outlander' to a UK publisher, I said to him, 'For God's sake, tell them to get a Scot to read it; I've never actually been there!' So they got Reay Tannahill – a marvellous historical novelist in her own right, as well as an excellent historian. Reay kindly read the manuscript and drew my attention to several small errors – nothing major, thank goodness – including my description of the smell of Loch Ness, which I'd based on the general impressions of bodies of water I was familiar with. Reay had, of course, actually been to Loch Ness, and was able to tell me what it really did smell like. Luckily, I was able to insert most of her corrections into the US version of the manuscript, though it had already gone through the copy-editing process. Check out the June 2009 issue of Scottish Memories magazine, which features the second in a series of interviews with Diana Gabaldon. The first article in the series, titled "The Outlander Lady", is available here. I thought it was a terrific article and well worth reading! UPDATE 5/23/09 5:55 am: Well, unfortunately, the people who run the site appear to have caught on to the fact that some of us were reading the full articles for free. They fixed the lack of paragraph breaks (which is good) but they have also changed the site so that only the first page of the article is now available to non-subscribers. So, if you're reading this outside of the UK, as I am, you've missed your chance to see the article. Really a shame, that. Do check out the site regardless. It's worth it if only for the wonderful photo of Diana in the June issue, taken by Barbara Schnell, Diana's German translator. For those of you who didn't get a chance to see the full article: if you want to see Diana's comments about the OUTLANDER movie, look here for some similar remarks she made on her blog in November 2008. And here is Diana's blog entry describing her visit to Culloden in April 2008. UPDATE 6/2/2009 7:00 pm: I should mention that I have received permission from the articles' author, Jean Brittain, to post the text of the first article here on my blog. The second part will be available here as well, toward the end of June, so please check back later. Diana posted a message on Compuserve this morning clarifying what she meant about the ending of ECHO (see my blog entry from yesterday), and telling me to tone it down a little (ouch! but I probably deserved that). Please read what she says in her own words, and my reply, here. I'm sorry for stirring things up yesterday; it really wasn't my intention to have people start to panic! UPDATE 8/8/09 9:02 am: Diana posted this on Compuserve the other day: "And you shouldn't read the last page [of ECHO] first NOT because it's shocking (the last page isn't shocking at all) but because you'll ruin something wonderful for yourself if you do." For those of you who like to peek ahead when you get a new book, or read the ending first, you should be aware that Diana has been dropping some rather ominous-sounding hints lately about the ending of ECHO. Well, at least until the book is out, you can't peek at anything I don't want you to see. <g> After that...well, all I can say is, if you read the last page of ECHO first, You Will Regret It. The <eg> is Diana's "evil grin", which she delights in using to torment her readers on Compuserve. (But not in a malicious way; she just likes to play with our minds. <g>) In this context, it gives me shivers! She's serious, folks. [UPDATE 5/20/09 8:21 am: Well, maybe not entirely serious; see the clarification at the bottom of this post.] She's been saying things like this about the ending of ECHO since at least last September (as you can see if you go to the link above and read the thread (discussion) from the beginning, paying particular attention to post number 33). Whatever you do, DON'T read the ending of ECHO first! If you are one of those readers who likes to peek, or if you know someone who does, please pass on this warning. Thanks! UPDATE 5/20/09 8:21 am: Diana posted a message on Compuserve this morning clarifying what she meant, and telling me to tone it down a little (ouch! but I probably deserved that). Please read what she says in her own words, and my reply, here. I'm sorry for stirring things up yesterday, it really wasn't my intention to have people start to panic! UPDATE 8/8/09 9:02 am: Diana posted this on Compuserve the other day: "And you shouldn't read the last page first NOT because it's shocking (the last page isn't shocking at all) but because you'll ruin something wonderful for yourself if you do." This is the story of a man who wakes up one morning to find himself 25 years in the past, living in the body of his 18-year-old self, with full knowledge of the future. Like the movie "Groundhog Day", the cycle repeats over and over again, but each time with a slightly different twist. Highly entertaining! Baseball fans will appreciate this one. It's the story of 20th-century journalist Sam Fowler, who finds himself transported back to the year 1869, where he encounters the Cincinnati Red Stockings, America's first professional baseball team. The historical details in this book are fascinating, and the book itself is well-written, with lots of wry observations about the time period. This one is on my list for sentimental reasons. It's the very first time-travel story I ever read, one of my favorites as a child. CHARLOTTE SOMETIMES is the story of an 11-year-old girl who travels back in time to World War I-era England. If you know a child in this age group who enjoys reading about what it's like to live in another time, I would certainly recommend this book. What about the rest of you? Do you have a favorite book or movie with a time-travel theme? If so, I'd love to hear about it. The editor of PHOENIX NOIR told me (recently) that the pub date Akashic gave _him_ is November of this year--but he's hoping that he can arrange for early copies to be sent to bookstores that will be on my US (and possibly Canadian) book-tour. I hope so, too! For those of you who aren't familiar with it, "Dirty Scottsdale" is a contemporary mystery, set in present-day Arizona, and featuring a detective named Tom Kolodzi. You can read an excerpt on Diana's blog here, and another excerpt on Compuserve here. I am not normally a reader of mystery stories, but from what I've seen of "Dirty Scottsdale" so far, it's going to be truly hilarious! Definitely a change of pace from Diana's typical writing. There are a number of other books in the "Noir" series, by the way -- each featuring a different city. 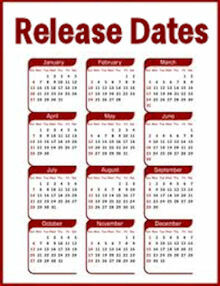 Check out the publisher's web site at www.akashicbooks.com/noirseries.htm for more information. I've been very pleased by the response to this month's poll so far. Thanks to everybody who's already voted! As a relative newcomer to the series myself, I think it's interesting to hear how others found the OUTLANDER books. Please feel free to share your stories here! My eye was caught by the striking blue color of the cover, and I picked it up (a little startled by the size of it, but not at all put off -- I like Big Fat Historical Novels, and always have) and briefly glanced through it. "Time-travel...that's good, I'm always up for a decent time-travel story....Hmm...Scotland...that could be interesting. BUT...it starts in 1945, and the main character is an Englishwoman. Is the author British too? Probably. * I often find British novels hard to get into, especially if they take place that far in the past [and by that I meant the 1940's, not the 18th century!]. Am I going to be able to, you know, relate to these characters? ** "
And so I put it back on the rack. Walked out of the store, and promptly forgot the author's name (quite unintentionally) ***. But I hadn't forgotten about the book, by any means, and I promised myself that if and when I ever saw it again, I'd give it a closer look. A couple of months went by, and then I finally did find OUTLANDER again. I still hesitated (my thought at the time was, it's an awfully big book to buy if you're not sure ahead of time if you'll like it or not). What about the rest of you? At what point did you find the series, and what made you decide to read the books the first time? First of all, Happy Birthday to our favorite red-heided Scot! James Alexander Malcolm MacKenzie Fraser was born on May 1, 1721, so today marks the 288th anniversary of his birth. 135 people voted in this one, which is the biggest number for any poll I've done so far. Thanks to everyone who participated! The results turned out much closer than I expected. For the record, I didn't vote in this poll, but if I had, I would have voted for Jack Randall. He's one of the most unforgettable villains I've ever encountered in a work of fiction. Despicable, to be sure -- I don't know if I will ever forgive him for what he did to Jamie -- but unforgettable. Please take a moment to vote in my new poll for May! I may not be posting as often next week. I'm having the interior of my house painted, all except my computer room and the master bathroom. With all the walls stripped bare, it feels almost as though I'm moving out of the house (and is turning out to be nearly as stressful), though I am not actually going anywhere. With luck, it will all be over by the end of next week. The painters will be working from May 6 - 8.